I wanted to make a fresh blueberry pie that has all the blueberry essence a blueberry lover could want but is lighter and not so darn sweet. Done and done right here y’all. It’s a simple, light and refreshing blueberry pie recipe. Blueberries are my favorite summer pickin’ fruit, which means I tend to go overboard and gather far too many. But since they freeze so well, and I can use them in fresh blueberry recipes all year long, I’m never mad about the bounty. Anyhow, start with a pre-baked pie shell and I’ll leave it up to you whether you want to use your favorite homemade pie crust recipe or go the store-bought frozen or refrigerated route. You have to eat it and live with your choice, but this is a judgment free zone, I swear. Make the blueberry pie filling on the stove and let it cool completely. 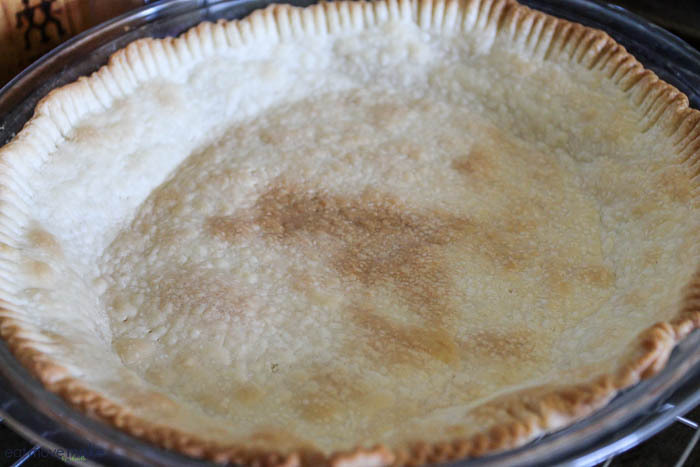 Since we’re doing the upside down thing with this pie, whip up some heavy cream into a fluffy whipped topping and then spread it in the completely cooled pie shell. Next, spoon and gently spread the cooled blueberry pie filling on top of the whipped cream, but not all the way to the edge. 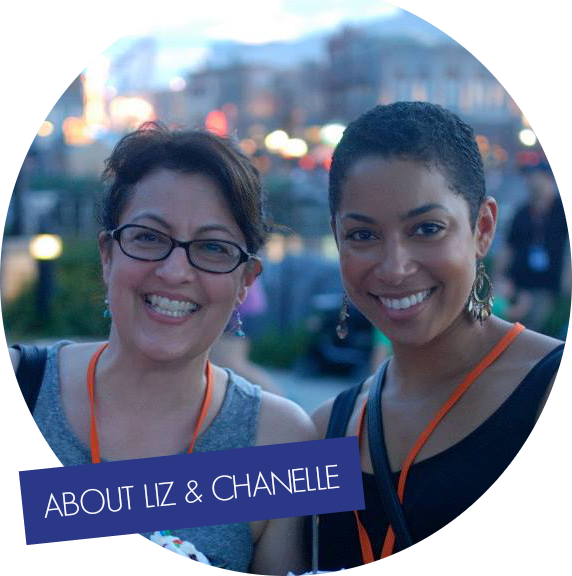 And don’t worry if it’s not perfectly perfect; I mean… look at mine. Who gives a rip? I know I don’t. Store the pie in the fridge until you serve it (which you’ll want to do the same day since it’s whipped cream). 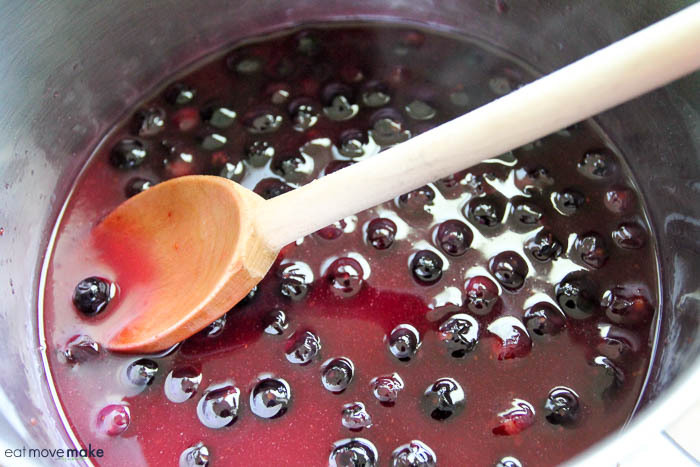 In medium saucepan over medium low heat, combine sugar, cornstarch, cinnamon, water and 2 cups of the blueberries. Stir until sugar dissolves and mixture boils and thickens. (10 or 15 minutes) Remove from heat. Add butter, lemon juice and remaining blueberries. Stir gently until butter melts in. Let cool. Beat whipping cream until thick. Add powdered sugar; continue whipping until stiff peaks form. Be careful not to overbeat. Spoon into pie crust and up over edges. Gently pour cooled and thickened blueberry filling into center of pie on top of whipped cream. Cover and refrigerate until serving. Best served same day. 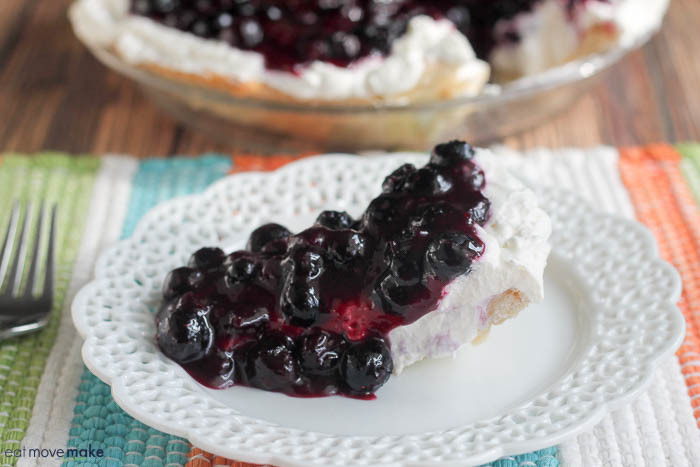 Ready for a bite of this upside down blueberry whipped cream pie recipe? I am! Super recipe to make, I’m going to give a lunch here and I was looking for something to offer as dessert I found eeesa great recipe that I believe will make everyone get mouth watering. i’m so making this tonight! it looks so freaking good. I love blueberries sometimes, but not always. This pie looks amazing though! Yum! 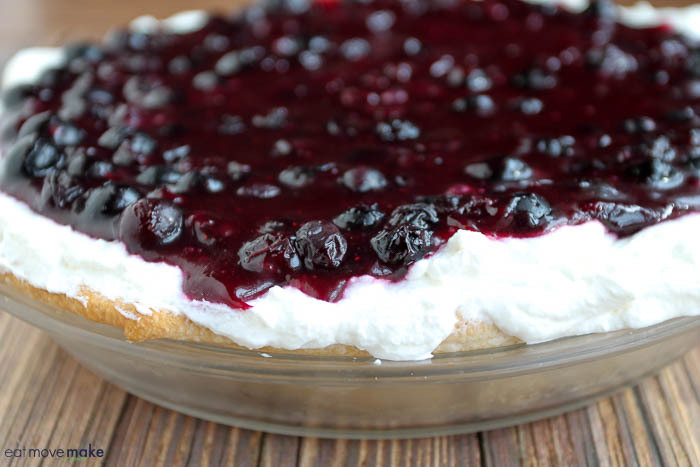 Blueberries are one of my favorite fruits, and pie… I will be making this for sure. This looks so good and easy to make. I will have to try it. I love how simple this recipe turned out to be. Tasty and simple makes for a popular dessert for sure! I am in love with this recipe. My kids love whipped cream AND blueberries so much. Yes so many times! Blueberries are coming into season too, so I can make this fresh. I have eaten a LOT of pies in my time (hey, I’m from the south) and I can honestly say I have never made an upside down whipped cream pie. This looks absolutely amazing and I can not WAIT to make it with fresh fruit that we pick here on the farm this year! This looks tasty! I usually get tons of June Berries that I can add to any blueberry recipe. This year we had a really windy day. All the flowers blew off the bush. Luckily I still have strawberries. Looks really good! Blueberry topped desserts are always a winner with me. I need to try making this pie! Yum. Yum, this looks SO delicious. I haven’t really had blueberry in a long time, so this would be a great little treat! I am a big fan of blueberries …. they taste good and are good for you. I’ve never heard of this recipe before, but it sounds like a yummy one. What a fun way to use blueberries. This looks really good! I love blueberry pies so I’m definitely making this! Yum, it’s looks so light and delicious! My daughter’s LOVE blueberries! Delicious! So perfect as a summer treat. I must try this since it seems so simple to make! Oh my goodness! This is really tempting and looks so yummy! This is a dessert I love. This looks so delish! Love blueberries, we going picking every summer. Yum! This looks absolutely delicious! I love Blueberries as well! I can’t wait for it to be blueberry season here so I can go pick them. I will definitely try this recipe then. These look delicious! This is a for sure must try. In my house blueberries are the bomb. Blueberries are the best for dessert! I was actually looking for a blueberry dessert to make for my moms birthday and this is perfect! My mom LOVES blueberries! I am not very skilled in the kitchen but this looks like a recipe I could handle! I will save it and make it next time I visit! I am sold. This is a dessert that I will definitely go crazy for! I would love to make it one of these days. I will probably have a lot of fun making it and eating it. This looks so good and I have a weakness for blueberries, so this is definitely a must try for me! Thanks for the lovely dessert idea! I’m sure the kids will love it too. This pie looks amazing! I haven’t had upside down pie, only pineapple cake! The whipped cream adds the perfect touch. I love whipped cream! This looks so amazing. I’d break my diet for this and think I just might! That’s it I am moving in. You make the best meals and desserts. This looks so good. Okay, that looks amazing. You had me at whipped cream pie but the fact that blueberries are a superfood just makes the whole thing a win win! Mmmmm!!! This looks so yummy! I was just thinking a blueberry pie is in order. May have to try this recipe next. Oh wow. What a delicious looking pie! I know I can make this. The recipe is easy to follow and there are not many ingredients required. Fantastic. I love the berries in the summer especially blueberries. I can’t wait for them to come out in the stands for lower prices and fresh. That pie is such a great way to enjoy them. Oh wow, that looks amazing. We love berries in our home so I will have to try this one soon! This looks amazing!! I am always looking for new dessert recipes. I am going to make this for my next girls day. This looks like my kind of pie! It is yummy, fruity and so easy to make. Yes please! Yum! This looks delicious! I could do this with strawberries! All the berries are so delicious and sweet right now. I predict lots of pie-making in my future! Holy yum! 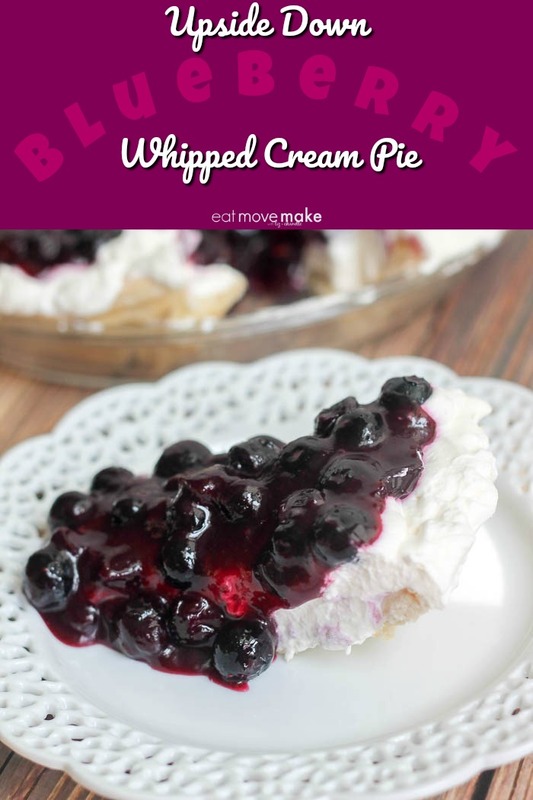 I love pie and blueberries and even though whipped cream isnt my fav I bet I could make this without it! How pretty is this! It looks so delicious! It looks like a great bbq or potluck dessert! Oh my yes please! This looks like the best dessert I have seen in a while, I could definitely see myself tucking into it tonight. This looks absolutely heavenly. And would make a great dessert for our Summer cookouts! 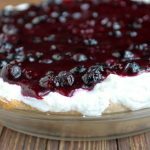 I absolutely love blueberries so you can bet this recipe caught my eye! It looks so light and tasty for summer time. This looks delicious and so perfect for later this month. My mom grows blueberries in her back yard and we always pick a ton! This sounds really delicious and since I just picked up some blueberries I feel like this is divine intervention telling me to make this pie. LOL! Oh so yummy to my tummy! this looks so delicious and I would make it with my favorite… strawberries! Ahhhh! That looks so amazing! HUGE props for using homemade whipped cream instead of that packaged stuff. I must make this! Om nom nom nom. Anything with that much whipped cream in the recipe has to be delicious! Thanks for another great recipe. I am drooling so hard over this. Blueberry desserts are my favorite!! !